The American Film Academy, which awards Oscar, took a documentary The Distant Barking of Dogs for consideration. 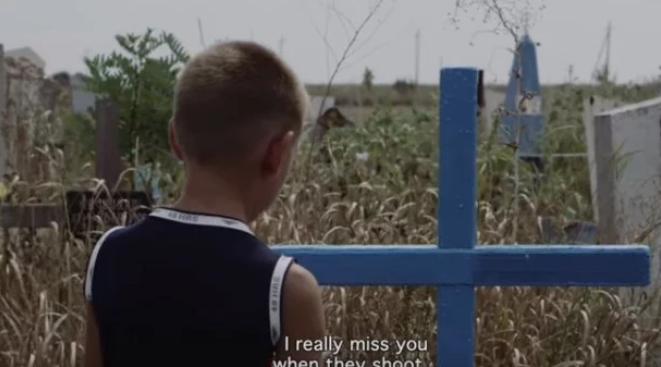 The movie is about a 10-year-old boy, who lives with his grandmother not far from the war zone in Donbas. Azad Safarov, the assistant of a Danish movie director Simon Lereng Wilmont, who Made the film, said it. The movie was presented for the consideration of Oscar jury as it won at five prestigious film festivals which are qualified by the American Film Academy. Therefore, this movie got a chance to be included in the long-list of Oscar nomination for best documentary. Then, the short-list is formed out of five nominated movies. The Distant Barking of Dogs was made in Hnutove, Donetsk region in 2015-2017. This settlement is located near Mariupol, it is under Ukraine’s control. Yet, Hnutove comes under fire quite often, as the frontline is near. Earlier, this movie was awarded, in particular, at Docudays UA festival and at one of the most prestigious festivals of documentary in Amsterdam (IDFA). Reportedly, Icarus by Bryan Fogel became best documentary according to the American Film Academy. The movie is about doping usage in Russian sport. Earlier, Donbass by Sergiy Loznitsa will be presented from Ukraine for Oscar nomination this year.